Grab your coupons and stock up on discounted Clorox products when you grab your mega purchases. 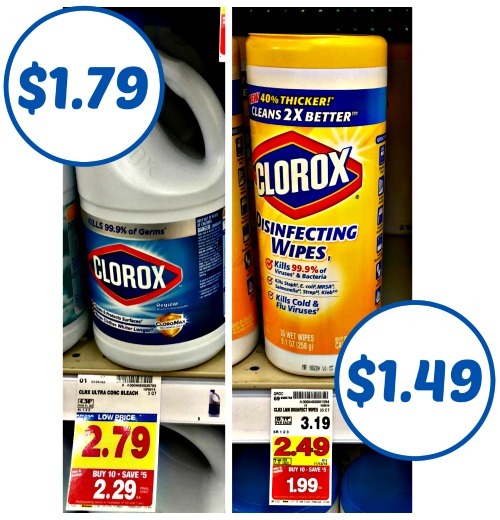 You can get Clorox Wipes for only $1.49 & Clorox Liquid Bleach for only $1.79 at Kroger. Good time to stock up with the cold & flu season in progress. $1.49 after coupon and mega savings. $1.79 after coupon and mega savings.